MINSK, Belarus (AP) — The authoritarian president of Belarus on Tuesday called for better ties with NATO and lifted restrictions on U.S. diplomats, an apparent bid to win concessions from Moscow by dangling the prospect of rapprochement with the West. Alexander Lukashenko’s statement on NATO follows a decision by his main sponsor and ally, Russia, to charge a higher price for its oil supplies to Belarus. “If they shut doors to us, we will search for another way,” Lukashenko said, adding that Belarus will seek to develop ties with the West and establish relations with NATO. Lukashenko has ruled the ex-Soviet nation of 10 million with an iron fist for nearly a quarter-century, relentlessly cracking down on dissent and free media. He has relied on loans and cheap energy from Russia to keep his country’s Soviet-style economy afloat. Last fall, though, Russia declared that it will charge higher prices for its oil supplies, dealing a heavy blow to Belarus, which has been making hefty profits from the export of oil products made from cheap Russian crude. Lukashenko, who has won concessions from Moscow in the past by raising the prospect of a shift toward the West, appeared to try the tactics Tuesday, warning Russia that its pressure will force Belarus to diversify its ties. He noted that while Russia feels “allergic and even hysterical” about Belarusian attempts to normalize ties with the West, it will continue on its path. “We’re in a situation where we have to turn our head around all the time… because we are situated in the middle of Europe,” he added. At the same time, the Belarusian leader emphasized that his nation remains committed to strengthening ties with Russia. Russia and Belarus signed a union treaty in 1997 that envisaged close ties but stopped short of forming a single state. As well as Russia and Ukraine, Belarus has borders with NATO members Latvia, Lithuania and Poland. The U.S. and the European Union have continuously criticized Belarus for its crackdown on dissent and its flawed elections, and introduced sanctions against Lukashenko’s government. 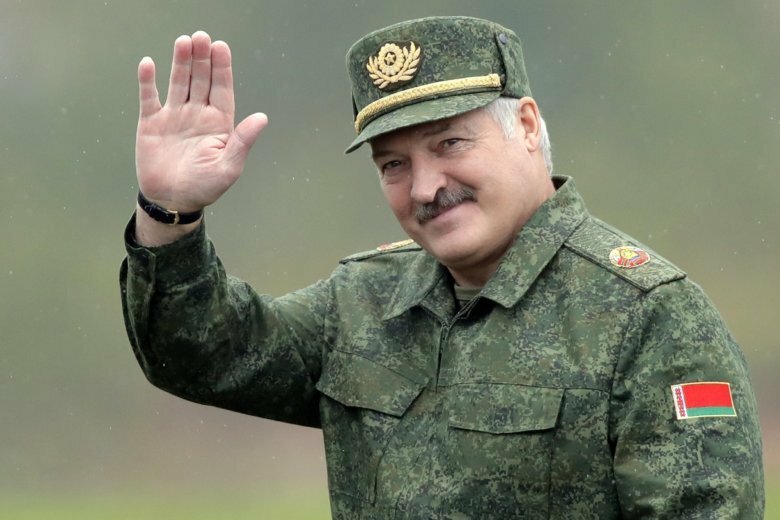 Most of those penalties have been lifted in recent years as Lukashenko, who was once dubbed Europe’s last dictator, has sought to improve his nation’s rights record. On Tuesday, Belarus also removed a cap on the number of U.S. diplomats in the country, which had been in place since 2008 as retaliation for U.S. sanctions against Belarusian authorities over a crackdown on opposition protests. Belarusian Foreign Minister Vladimir Makei, who hosted U.S. Deputy Assistant Secretary of State George Kent, expressed hope that the decision would help to put the relations between the two countries back on track. Vladimir Isachenkov and Nataliya Vasilyeva in Moscow contributed to this report.